Once in a while a movie comes along that makes you ask how, why, and who. As in, how did this get made? Why did the people in this movie agree to make it? Who was the intended audience? 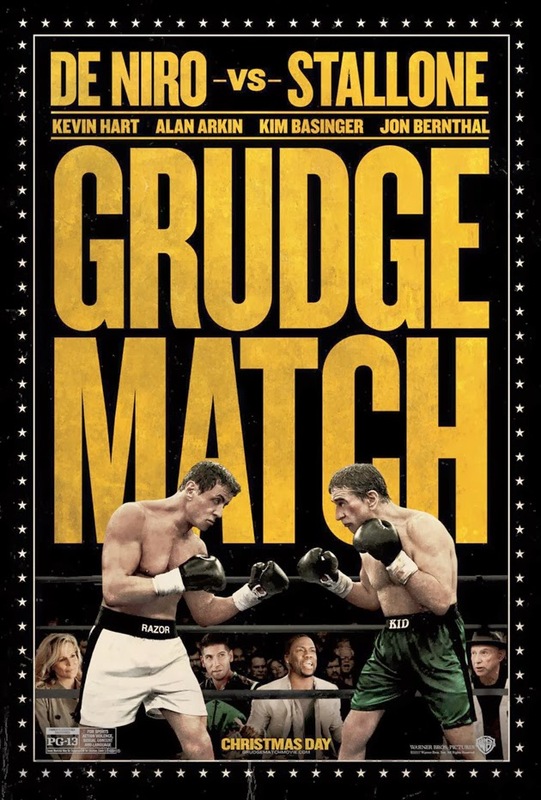 GRUDGE MATCH is one such movie, unfortunately. If you’ve seen the trailers, you get it. And sadly you’ve seen most of the good jokes too. Stallone vs. DeNiro. ROCKY vs. RAGING BULL. GRUDGE MATCH presents two great fighters past their prime. One, Kid (DeNiro), longing for the spotlight and hoping to take on his long time rival. The other, Razor (Stallone), happily walked away from it all but finds himself in need of a payday. Enter: Dante Slate (Kevin Hart), the son of a former boxing promoter looking to fill his dads shoes. He sees the old rivalry as his ticket to the big time. After some prodding of Stallone’s character the match is set up. Stallone and DeNiro make public appearances together, each a bigger debacle than the last. Their antics land the fighters in a string of viral videos that create buzz for the match. Stallone works with his former trainer played by Alan Arkin. The heart aches watching Arkin reduced to such stupid and unoriginal material, a sentiment that goes for DeNiro as well. Arkin both condemns and supports the fight. The only consistent thing about his character is the cheap jokes. So this movie is about a grudge match right? Wrong. The movie spins unneeded yarns in order to appear deeper than it ever could be. So many training montages, so many. Plus, Stallone and DeNiro share a past love interest played by Kim Basinger. Their history with her fuels their rivalry, and the grudge match (which is called “Grudgement Day”, by the way). While Bassinger’s character had a child with DeNiro’s, the real love of her life has always been Stallone. DeNiro’s son B.J. (MOB CITY and WALKING DEAD actor Jon Bernthal) has never met his dad until now. He builds a relationship with his father as his trainer for the match. The relationship relies heavily on the hilarious implications of going by the name B.J. Peter Segal is in the director seat. 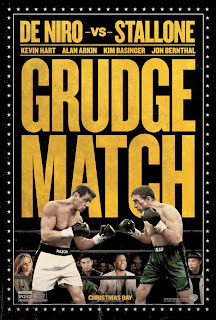 Having guided decent comedies such as GET SMART, 50 FIRST DATES and TOMMY BOY, it’s hard to imagine how GRUDGE MATCH so badly got away from him.